Are you on a budget this Christmas but still want to buy your loved ones presents? 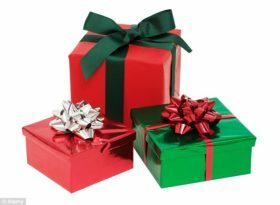 Here is a list of some gift ideas you can buy them that are just under $10. You can’t go wrong with having fuzzy socks. Everyone needs some warm feet this winter. Anyone would appreciate this mini speaker if they love bopping to music. Beanies are the new look this year, so give someone’s look a pop of color. Coloring is fun and can be relaxing so gift this to someone who needs a stress reliever. Unsure of what to gift someone? Buy them a gift card so they can purchase what they like.